If you’re one of those people who eats dessert then goes to sleep only to be awoken by a food nightmare because you’re certain your SoulCycle instructor will know that the Ice Cream Fairy paid a visit to your freezer and of course you ate all of her magical bounty because it would just be plain rude not to, then I can’t really do anything for you. But if you’re one of those people who eats ice cream on the reg and wants one more reason to feel good about your life choices, then I have great news. 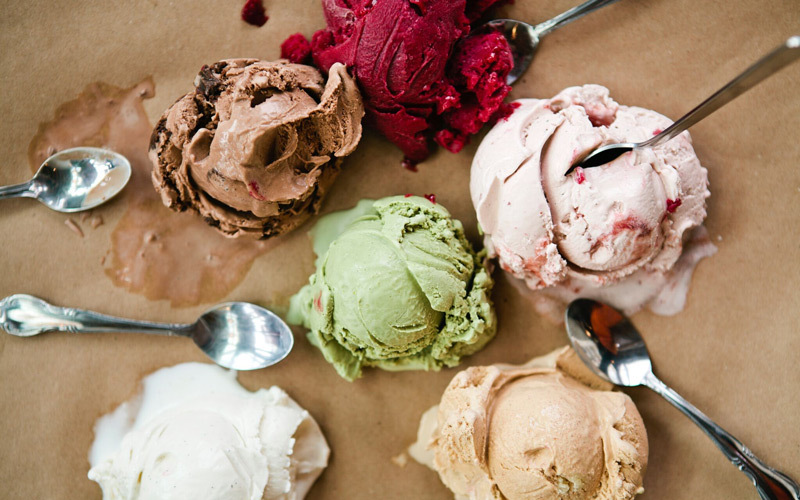 Portland-bred small batch creamery Salt & Straw has teamed up with Food Forward, a local nonprofit trying to put an end to food waste, to create five new flavors that utilize the city’s surplus produce. It’s exactly what it sounds like. 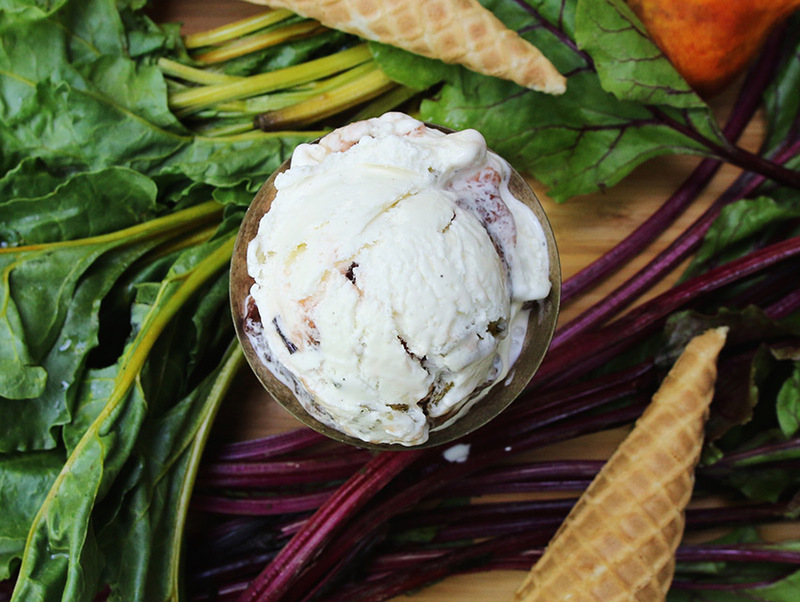 Salt & Straw ice cream wizards cook down the stems of beets with lemon and sherry vinegar until they become a jam. 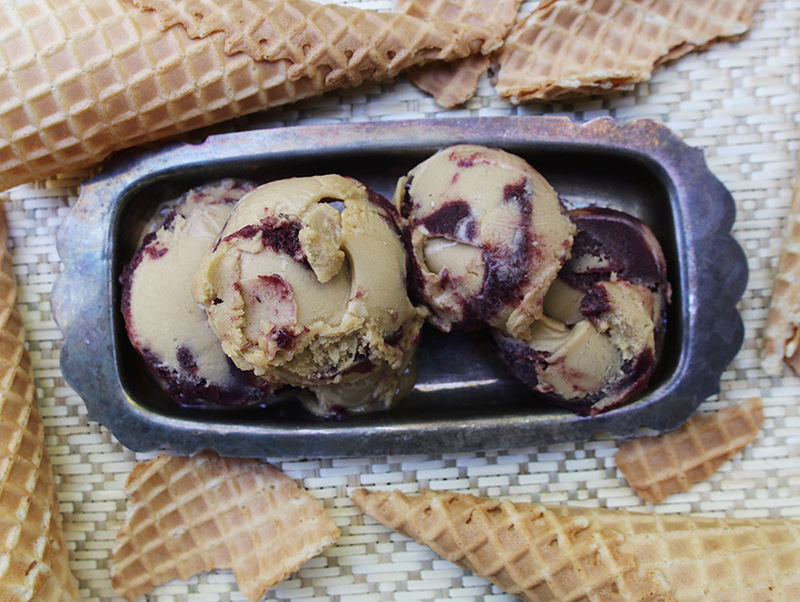 That jam is ribboned thorough their salt and pepper ice cream, which is then studded with sugar brittle made with the dehydrated beet leaves. Wait, you’re right‚ it’s not exactly what it sounds like. IT’S BETTER. One of the primary ways Food Forward fights waste is by harvesting unwanted citrus from Angelenos’ backyard fruit trees. This flavor features oranges, lemons, grapefruits, and limes that have been covered in salt for three-ish days (to bring out the citrussy essence, ya hear?). The resulting marmalade is folded into vanilla ice cream. 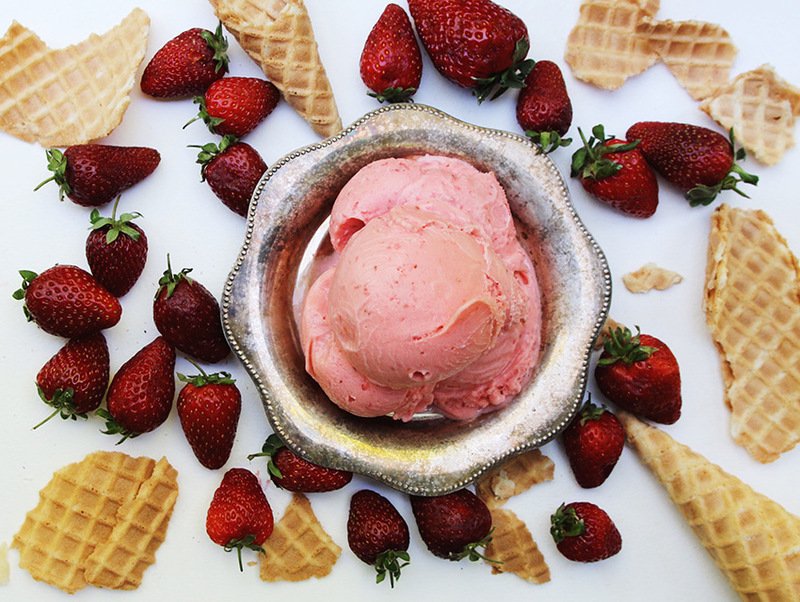 Food Forward hooked Salt & Straw up with an Oxnard strawberry farmer (probably one who supplies delicious berries for the California Strawberry Festival, held yearly in Oxnard). His extra berries are soaked in whey, then blended with cream and sugar. The women who own and operate Three Weavers Brewing offered up the grains left behind after brewing a batch of their Midnight Flight Stout. They’re soaked in cream to create the base of the mixture, which is then enhanced by ooey gooey homemade blackberry fig jam. 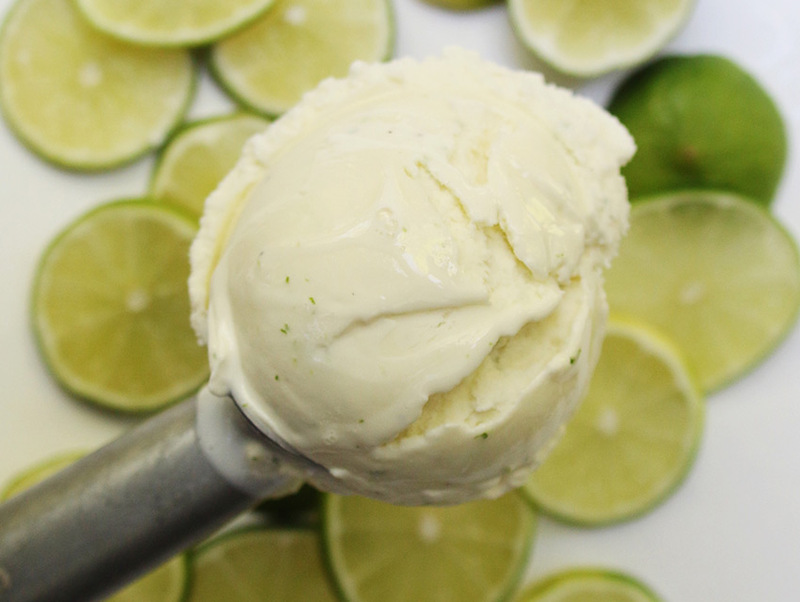 DTLA’s Greenbar Distillery wanted in on the alcohol-to-ice cream game, too. The spices used in one of their boozy offerings is infused into a simple syrup. Add water from Echo Park’s Volstead Act Company, and voila! 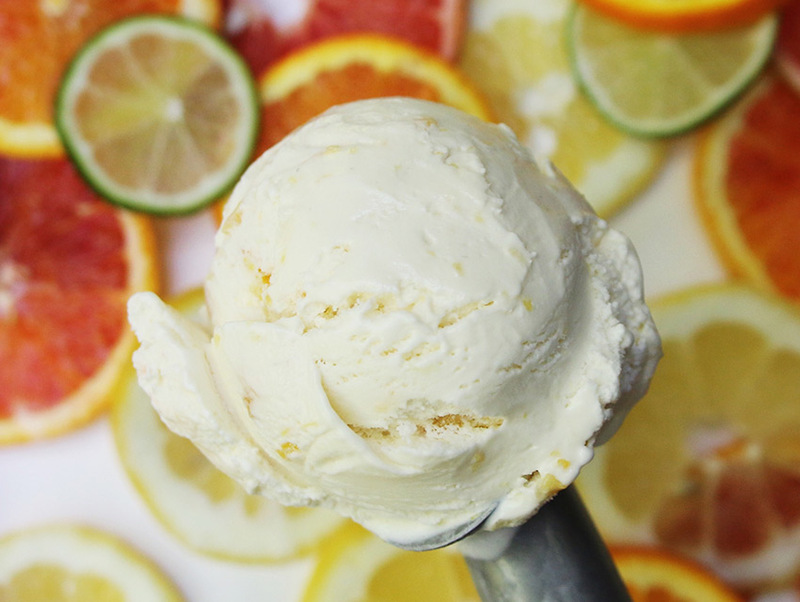 “Gin and Tonic.” The result is churned into ice cream, which is then adorned with candied citrus zests (yes, ones leftover from the Citrus Creamsicle flavor, because it wouldn’t be the Reclaimed Food Series otherwise). Try ’em all between June 2 and June 29.